Diana Kirkland is one of many students who entered Peirce College with a dream, a desire, and a passion to do more. She is also one of the many Peirce students and alums who achieved her goal of a college degree through hard work, encouragement, and the support of the Peirce community. Graduates like Diana are what we like to call opportunity students. They must balance work, school, family, and other obligations all while chasing that end goal: degree completion. For more than 151 years, Peirce College has made practical education and learning accessible, affordable, and relevant for working adults and their families, so everyone has the chance to make their dreams a reality. But we need your support in order to make this happen. On November 29th, Peirce College will participate in #GivingTuesday, an international day of generosity that empowers you to invest in important causes. In this season of hope and gratitude, please consider giving to the Peirce College Annual Fund. Every donation will make a difference in preparing and equipping our students to take on the challenges of the 21st century knowledge economy. At Peirce, we hope to utilize the donations in a way in which academic support and career counseling services can be bolstered, new courses of study can be developed to meet the region’s increasing need for skilled employees, and to make supportive financial aid and scholarships available to ensure that all students are able to achieve their goals. Any amount is welcomed; your participation is what makes the difference. To participate in #GivingTuesday, please visit our secure website today for more information and to make a donation. Thank you in advance for taking the opportunity to help our Peirce students achieve their goal of earning a college degree. Be the office hero – host a Pizza Party on Peirce! Help us spread the word about Peirce’s new competency-based degree program with your IT department and we’ll buy you and your IT co-workers lunch! Peirce College is proud to offer Philadelphia’s first and only competency-based bachelor’s degree in Information Technology. It’s flexible, self-paced, online learning for today’s IT professional, and offers the most direct path to earn a degree. We want all IT professionals in the region to be aware of this exciting new program so we're looking for your help with spreading the word, one pizza at a time. 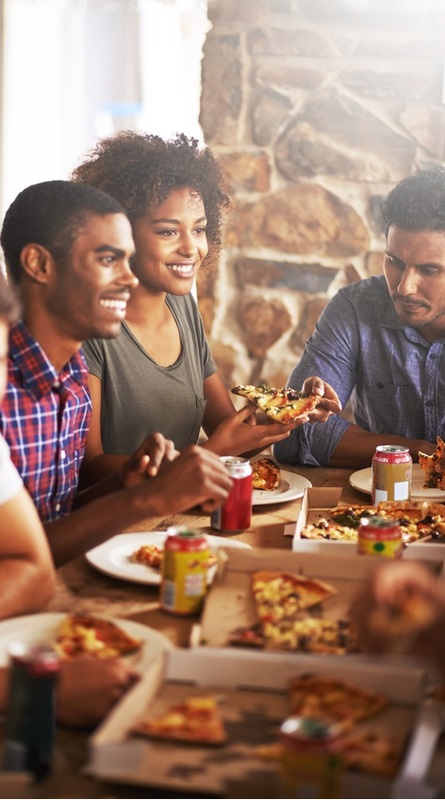 If you have an IT department of 10 or more at your workplace and would be willing to sponsor a pizza party for your IT colleagues, send an email to studentinfo@peirce.edu. We’ll order the pizza and send along some Peirce freebies and materials about our CBE program for your colleagues to enjoy. Email us today with the subject line: "Office Hero" and we’ll start planning! Maximum of three pizzas will be provided per event. Emails must be received at least two weeks in advance of the proposed date. Sponsors must be current students, staff, faculty, or alumni of Peirce College, and must secure the appropriate approvals from their organization prior to the event. The College cannot be held accountable for any interactions with the independent pizza vendor. You’re Invited to Visit Week! This is a guest post from Health Programs Assistant Professor Kathleen Watson. Have you ever wondered if Healthcare might be the right major for you? Or maybe you want to come back to school but are interested in checking out some of the classes you could take? Say no more – now you can, at Health Programs Visit Week! From November 14th to 17th, 2016, select courses in Peirce College’s Healthcare Programs are open to current and prospective students, to give you a sense of what non-clinical healthcare is all about and to meet our accomplished and experienced faculty. Visitors welcome from 5:30-7:00 p.m. Visitors welcome from 5:30-9:30 p.m. This is a chance to "drop in" on a course and check it out! You are allowed to sit in for 30 minutes to listen to the Professor teach, see how the students interact, and get a sense of what the course material is like. 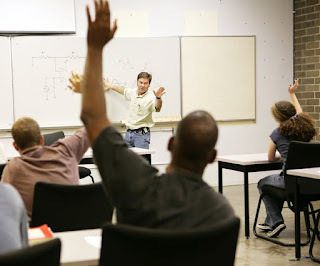 You can ask questions and hear from the enrolled students what they think about the class. No RSVP required-- just show up! If you have questions, contact me at kwatson@peirce.edu. I look forward to seeing you at Visit Week! 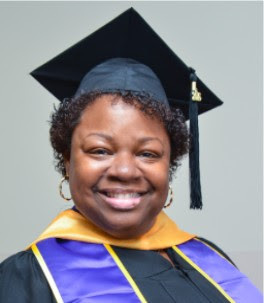 This is a guest post from Peirce Career Development Counselor Leslie Ballway. Have you ever felt like job searching is a waste of time? That your efforts are not seeing results? It is so easy to get frustrated and overwhelmed during the job searching process. How can we make sure that the work we are putting in will result in the outcomes – new jobs, better salaries, career changes – we want? Here are some steps to follow to keep yourself on track to achieve those goals! Years ago, resumes were just lists of duties from previous jobs. How boring! Demand the attention of hiring managers by detailing your accomplishments and use numbers to quantify those results. For instance, “completed cash, credit, and debit transactions” is snooze-worthy. “Awarded 100% Mystery Shopper Rating while managing over $5,000 in daily sales” is more interesting and tells a story of how you set yourself apart from the competition. This informs hiring managers of the type of employee you will be – outstanding! Once you get your resume into an easy-to-read format citing your accomplishments, it’s time to bring in the job description. Yes, that’s right; you can and should customize your resume for the job you want. This allows hiring managers to quickly identify you as a good fit for their position without relying on their imagination (or lack thereof!). You should also ensure that your resume includes contextualized keywords from the job posting to pass online application filters. Your cover letter is the time to tell potential employers why you will shine in the position. Use examples of previous successes, draw parallels between the company mission and your own passion, and hone in on what makes you the best candidate for the position. Check out job searching websites such as Peircelink, Indeed, LinkedIn, and Glassdoor to scope out interesting opportunities, research companies, and connect with hiring managers. Just as you research companies, remember that they are likely doing the same for you! Google yourself and ensure your social media presence – Twitter, Facebook, LinkedIn – is presenting your best self. Your next step is to prepare yourself for interviews and networking events. Develop a 30-Second “Elevator Pitch” to answer the dreaded “tell me about yourself” question. Be concise, memorable, and lead with your strongest benefit to the company. Strategize answers to common interview questions like your greatest strength, your biggest weakness, and how you managed a difficult or stressful situation. CDS can help you optimize your answers to ensure you are making the best impression. Did you know that you can bring a portfolio into an interview? Load up a folder or binder with copies of your resume, the job description, notes about the company, questions for the interviewer, three professional references, and examples of your excellence (think aced school projects, writing samples, awards, and/or letters of recommendation). Don’t be afraid to take notes during the interview so you can remember key discussions. Lastly, assemble your interview suit and practice wearing it – it will help you feel more confident (especially if you don’t normally wear suits) and prevent unforeseen wardrobe malfunctions. Are you missing the crucial follow-up step? Calling to introduce yourself to a hiring manager transforms you from a name on a paper to a human connection. After the interview, remember to mind your manners: send an email or letter thanking the interviewer for their time. This will reiterate your interest and remind a busy interviewer of your conversation. Your final step may just be the most important one: stay positive and focused. Keep applying and don’t take rejection personally. Your opportunity will come!